the club. We started the club to preserve Swedish culture in America and foster fellow ship among people with Swedish-American interests. We have usually four to six activities a year. The most atteneded and most popular event is the Lucia celebration event when we fill up a whole church (4 to 500 people). many active members who make sure the tradition continues. 3 - Interested in experiencing and preserving our Swedish traditions. Three sisters in DeLand FL, ages 58 and above. Mom's maiden name - Anderson. Please send notice of events, membership fee, etc. Thank you! 4 - @Irene Gå med i svenska klubben så kan du få information om deras evenemang och genom dessa träffa många trevliga svenskar i Tampa Bay området. jag ar intreserad at bli en medlem i Svenska cluben. Jag skulle tycka det var trevligt. Irene Moore. 7 - Hur står det till? I am half Swede (mother's side - Anderson). I'd like to know more information. I am doing my genealogy and am in process of relearning my swedish (svenska). It has helped in looking up records. I am also wanting to visit Sweden some day - not as a tourist but planting my feet were my ancestors came from! Please help! 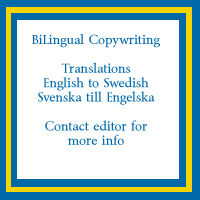 I want to learn swedish. 8 - I am in FL in the winters and very interested in learning more about your club and its events. If you have a newsletter please let me know how to subscribe. Both my parents were born in Sweden. Thank you. 9 - I would love more information on your club. My parents and relatives are now all deceased and I am missing my roots. 10 - Each winter we host a few families from Sweden at our Tampa Vacation Rental, so interested to be kept up to date on activities they may enjoy while visiting. someone more local to mingle with, too....ideally, that person enjoys to play recreational tennis.